I was asked to create a poster for the Art Institute of San Antonio's Veteran's Day Dinner. The Images I used are not mine; I cleaned them up in Photoshop, (Masked for invisible background), and used them in my layout. I used InDesign for my layout and type. 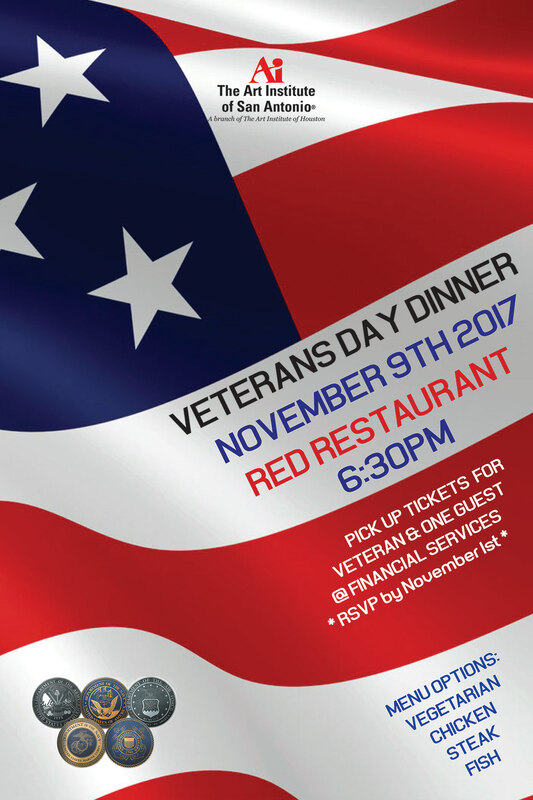 Design a poster for the Veteran's Day Dinner for the Art Institute of San Antonio.